If you need a MiniDV transfer to Computer Digital Video Files service, then contact our friendly company. 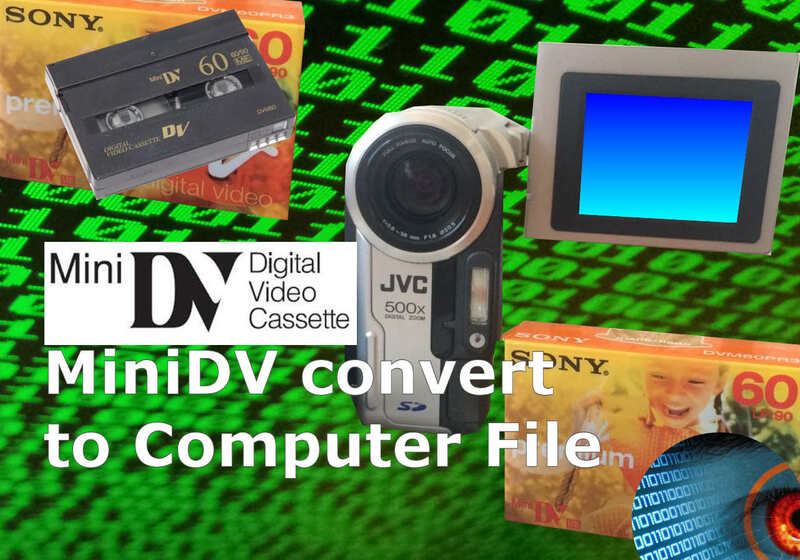 We transfer MiniDV cassette tapes to Computer Digital Video Files. Our transfer process is direct from the digital raw data from the tape to a computer based digital file. Unlike other conversion companies which take their output from the analogue Composite video output (AV out) and then convert that back to digital, we take ours direct from the digital tape and save it to a computer file at the highest quality - the same quality as the original recording. This way it is in best format for diting. The file can be saved as mpg mpeg2 avi mp4 mov etc for Apple Mac and Windows PC playback.